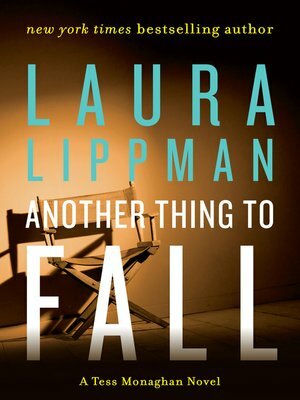 Award-winning and New York Times bestselling author Laura Lippman's Tess Monaghan—first introduced in the classic Baltimore Blues—must protect an up-and-coming Hollywood actress, but when murder strikes on a TV set, the unflappable PI discovers everyone's got a secret. When private investigator Tess Monaghan literally runs into the crew of the fledgling TV series Mann of Steel while sculling, she expects sharp words and evil looks, not an assignment. But the company has been plagued by a series of disturbing incidents since its arrival on location in Baltimore: bad press, union threats, and small, costly on-set "accidents" that have wreaked havoc with its shooting schedule. As a result, Mann's creator, Flip Tumulty, the son of a Hollywood legend, is worried for the safety of his young female lead, Selene Waites, and asks Tess to serve as her bodyguard. Tumulty's concern may be well founded. Recently, a Baltimore man was discovered dead in his home, surrounded by photos of the beautiful—if difficult—aspiring star. In the past, Tess has had enough trouble guarding her own body. Keeping a spoiled movie princess under wraps may be more than she can handle since Selene is not as naive as everyone seems to think, and instead is quite devious. Once Tess gets a taste of this world of make-believe—with their vanities, their self-serving agendas, and their remarkably skewed visions of reality—she's just about ready to throw in the towel. But she's pulled back in when a grisly on-set murder occurs, threatening to topple the wall of secrets surrounding Mann of Steel as lives, dreams, and careers are scattered among the ruins.